We’ve organized this annual family reunion for some years. 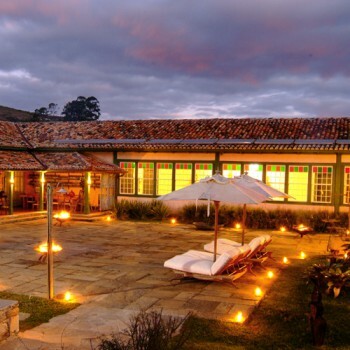 On this occasion, the chosen destination was a farm in Ibitipoca where guests were met in one of our favorite hotels with a traditional lunch from Minas Gerais followed by a walk to a lookout point to see the sun setting. In the evening, a youth orchestra from the region gave a concert which everyone enjoyed. The programme during the day included horseback rides, forest trails, bathing in waterfalls and a surprise picnic. The highlight was an evening walk together with an astronomer to a place where dinner had been set on a quartz crystal “beach”. The children were enthralled and to our surprise, the astronomer played a mean saxophone. Sunset at the statues lookout. Luau at full moon on the white quartz crystal beach. Exclusive events of traditional music for the group.